Are you interested in using mobile payments to drive customer engagement? These five new business models might be the answer. Blog four of a series. Advances in mobile technologies, market demographics and the ubiquitous nature of smartphones have created the perfect storm for experimenting with new business models enabled by mobile payments. 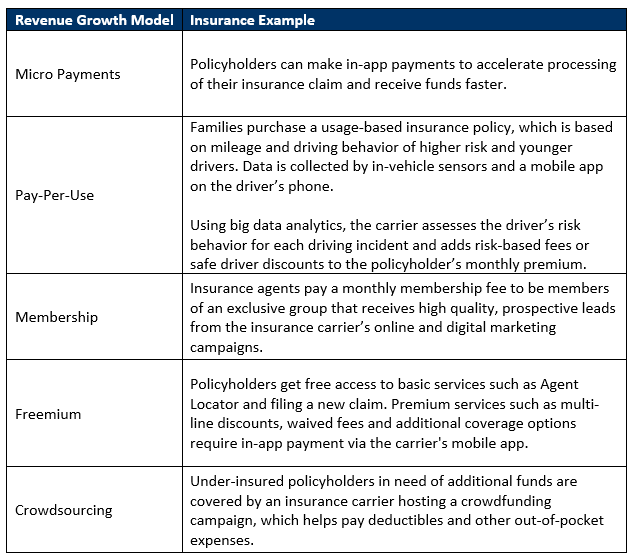 We have identified five revenue-growth models that are ripe for innovation experiments, and will ultimately strengthen customer engagement. Even better, because they use mobile payments technology, these experiments don’t require a heavy financial investment. A micro-payment is a financial transaction involving a small sum of money and usually occurs online or via a digital application. An example of micro-payments is the “in-app purchase” commonly found in mobile gaming apps where a user pays for virtual objects or buys their way into the next level of service. 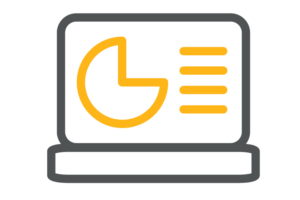 In a pay-per-use business model, usage of a product or service is metered, and customers are charged when they use the service. One example of this business model is a pay-per-view television service where TV subscribers can purchase events to view. Another example: Industry research firms that sell access to high-value content on a per-use or per-download basis. A membership business model involves customers paying a subscription fee to gain unlimited access to a product or service. Health clubs and country clubs have been operating in this business model for decades, where customers pay a recurring fee in exchange for member status, direct relationships with other members and/or inclusion in an exclusive group. Freemium is a business model in which a basic product or service is provided at no cost, but a fee is charged for access to premium features, proprietary information or services. An example of this business model is LinkedIn, which offers free access to anyone who wants to create and maintain a professional profile online, while premium access is reserved for job seekers, sales and recruiting professionals who are willing to pay a monthly fee to see more detailed member profile data. The crowdfunding business model is a social media version of fundraising. Individuals or organizations persuade others to make small donations or investments – typically $10, $50, $100 or more. The collection of dozens, hundreds or thousands of donors is possible because of the proliferation of websites that allow individuals and businesses to raise money. An example of this business model is Kickstarter.com, which accepts micro-sponsorships to provide mass funding support for almost anything: physical products, services, ideas, social cause, and production work. 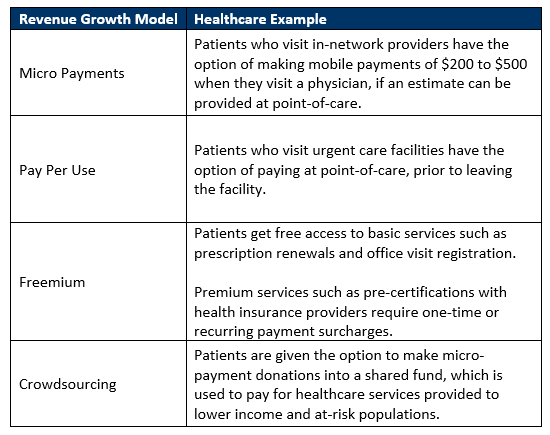 Now that we’ve identified some alternative business models and mobile pricing strategies, let’s take a closer look at how mobile payments might be applied in some existing industries: Insurance and Healthcare. Property and Casualty (P&C) insurance carriers sell insurance policies that protect against property losses and damage to your home, automobile, boat, business or nearly anything of value, including legal liabilities that may result from injury or damage to the property of others. Healthcare providers are individuals and organizations that provide preventive and rehabilitative health care services in a systematic way to individuals, families, communities and populations. How does adding mobile payment features such as those mentioned in our new business models help other industries and markets? In my next article, I’ll discuss examples of how mobile apps in different industries are using mobile payments technology to increase customer engagement.